It is only through the mobilization of hundreds of modest employee gifts, contributed over the course of the year through payroll deduction, that United Way is able to raise the majority of dollars that it does to support the needed services of the local community. Employers are instrumental in facilitating this massive fundraising effort by supporting and endorsing employee campaigns. The first step is to find a supportive, enthusiastic employee to take on the responsibility of coordinating with their United Way staff person. This employee is respected by the CEO and liked by employees. The role calls for good organization and leadership skills, thorough communication, eagerness and a commitment to the United Way. Planning, structure and follow through are key to a successful campaign. You and other volunteers from within your workplace have full support and backup from the United Way staff. Recruit others to help Ask other departments and employees to be involved and assign tasks. These are your planners and workers. Review your prior year campaign: What worked? What did not? See that everything is carefully and completely documented. Activities when accompanied by United Way presentations and asking for pledges, give employees something in which to look forward. 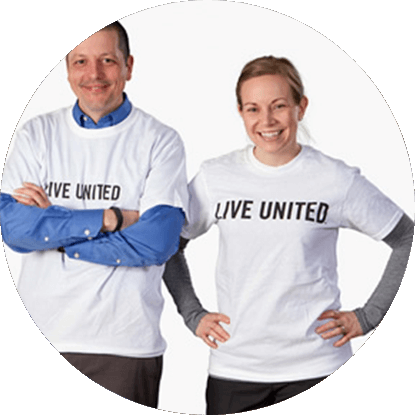 Consider having activities for employees to participate in and the funds raised go to the United Way campaign total for your company. Show sympathy and listen carefully; let them know you care about their concerns. Relax and be yourself! Asking for someone’s participation or gift is not a “win/lose” situation. We all win with any donations received/pledged. Realize that people give from the heart and not from financial status. Are focused and time limited; a one or two-week campaign window is most effective. Are endorsed by business leaders. Employer match programs not only increase the dollar value of the total campaign but they offer incentives for employees to give. Are facilitated by employee peers or managers. Employees are more likely to be personally motivated and will feel better about giving when a peer introduces them to the idea. Are sure to invite every staff member to respond to the solicitation. Employers who voice a desire for 100% participation often get it. Incentives for achieving this goal can be helpful. Have people asking employees to participate face to face. This strategy implies an in-house campaign team. Set an in-house goal or challenge that asks people to rise to the occasion and surpass the past year’s accomplishment. Kick Off their campaign with a splash. The company has a theme, presenters from area agencies speak, testimonials from employees, show the United Way video, and more can be done to generate excitement for the campaign. 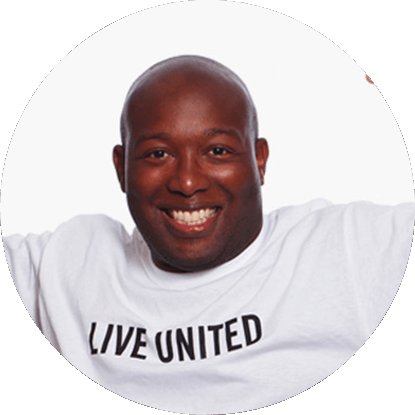 Call on United Way staff to help and do as much as possible to ensure a successful campaign.